Recently we’ve had some of our clients find missing pets or have their own pets go missing. Thanks to social media and local humane societies, some of these pets have made their way home. Unfortunately, some of these lost pets haven’t found their way back home yet. One thing all of these missing pets have had in common is that they haven’t been microchipped. Spring and summer are when pets are at the highest risk for running away and getting lost so I thought I’d take a minute to talk about the importance of microchipping your pets. Both cats and dogs should be microchipped. Most of the time pets go missing when we least expect it. Often times, the pet darts out the door when we’re not looking, when kids are going in and out, pets jump the fence, or dig out of the yard. This means they are often not wearing their collars or tags so there is no way to identify who they belong to so that the family can be found quickly. A microchip is a permanent form of identification that will always be with your pet no matter where they are. It cannot fall out or be removed (except by surgery). A study found that only 2% of cats without a microchip are returned to their owners. A cat with a microchip has a 20x higher chance of being reunited with its owner. A microchip is a radio-frequency identification (RFID) implant. It is not a tracking device and does not work like GPS, it simply provides your pet with permanent identification. 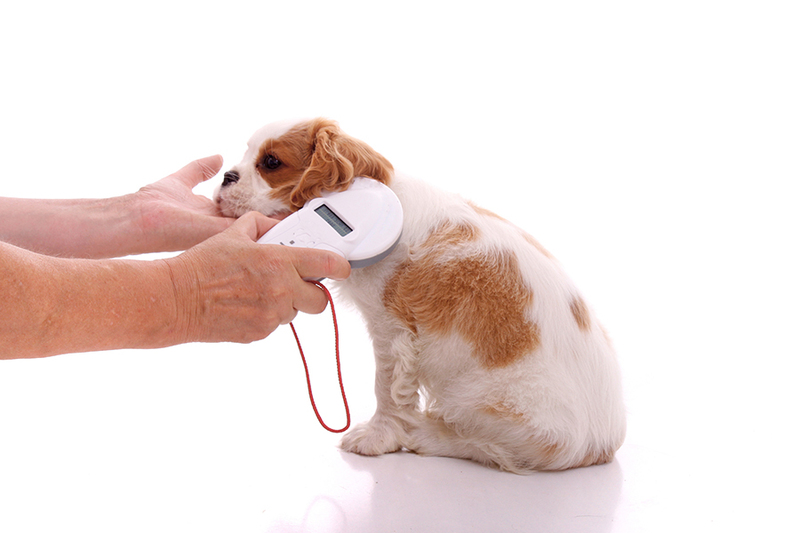 When a microchip scanner is passed over your pet, the microchip transmits the identification number to the scanner. How will a microchip help if my pet is lost? If your pet is found by someone and brought to a veterinary clinic or animal shelter, it will be scanned for a microchip. The scanner will find your pet’s microchip number, and then the microchip company will be contacted for your information. This is why it is really important to keep your contact information up to date with the microchip company. Once you have your pet microchipped our staff will happily show you how to manage the contact information associated with your pet’s identification number. Request an appointment or call us to get your pet in right away. A veterinarian or veterinary technician will implant the microchip under the loose skin between your pet’s shoulder blades using a large needle. Usually, a pet reacts similarly to when they get a vaccination. Microchipping can be done without anesthesia, in a matter of seconds. After your pet is microchipped, you need to send in the registration forms so that your contact information will be linked to your pet’s microchip. At our veterinary practice, a microchip costs less than $30 and this fee includes lifetime registration with the AVID microchip company. We will even send in your registration forms for you so it will all be taken care of for you! Don’t hesitate, request your appointment for microchipping today!